“First elected in Athens, Greece, in December 2001, the 67-year-old British five-time Paralympian has, in his own words, transformed the Paralympic Movement’s global governing body from a ‘disability sports organisation to one of the most highly respected sports organisations in the world’,” the IPC says in a statement. “Under Sir Philip’s watch, the IPC has developed a reputation for strong governance and integrity, growing Para-sport globally and staging sport events that transform and enrich the lives of millions of people around the world. Sir Philip, appointed an International Olympic Committee member to represent the IPC in 2003, capitalized on a new constitutional structure introduced in 2005 which has led to his three four-year terms. 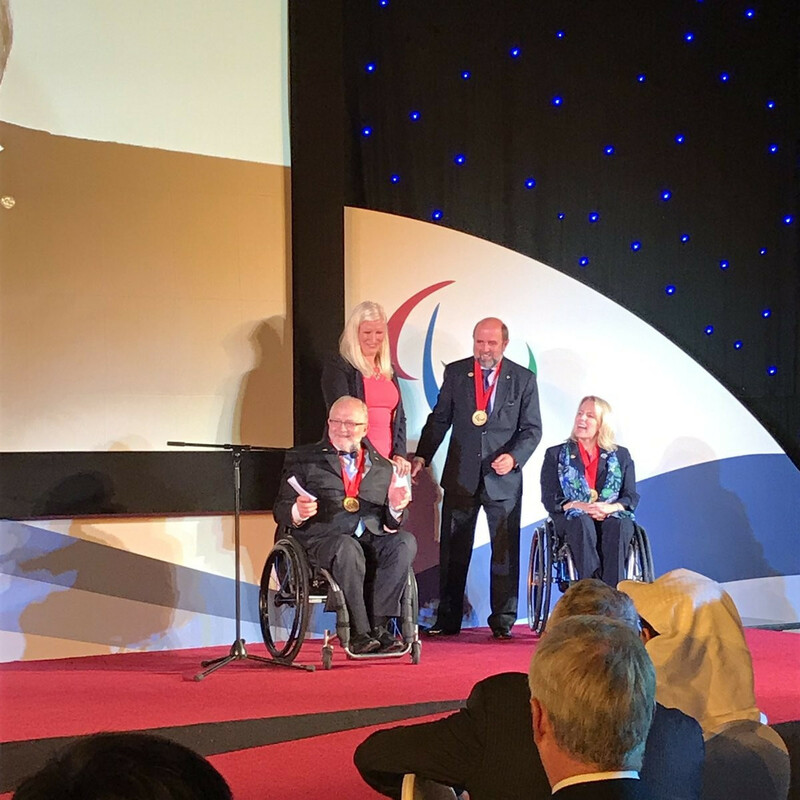 In one of his final acts as IPC President, Sir Philip is due to present the Paralympic Order to three other recipients during this evening’s Paralympic Sport and Media Awards. The trio of recipients are American Paul DePace, Denmark’s Karl Vilhelm Nielsen and France’s Gerard Masson. International Wheelchair and Amputee Sports Federation President DePace will be recognized for the almost 50 years of work he has contributed to all levels of the Paralympic Movement. Three-time Paralympian Nielsen will be awarded the honor after being said to have made a huge impact on the lives of people with an impairment from Board involvement to Governmental and legal advisory positions. Nielsen, the chairperson of the Danish Sports Organization for the Disabled Executive Board since 1979, became vice-president of the International Stoke Mandeville Wheelchair Sports Federation five years later. At the 2017 Paralympic Sport and Media Awards, which are supported by Allianz, there will be 10 other presentations recognizing achievements both on and off the field of play at the Rio 2016 Paralympic Games.